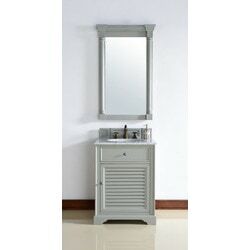 The Savannah 26" Urban Gray vanity by James Martin Furniture features a Savannah Shutter take that can take you anywhere. 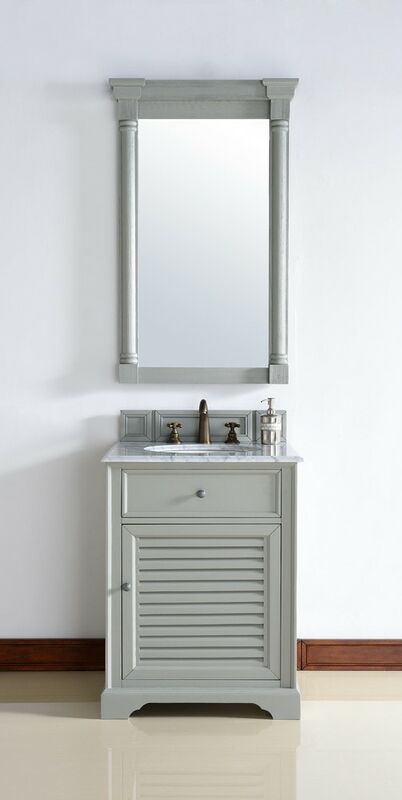 From the beach, to the cottage, to the cabin you will feel at home with this beautifully hand crafted piece of furniture as the focal point in your bathroom. Pewter finish door and drawer pulls adorn two doors, with shelves for storage, and two drawers, with the bottom drawer being double height for taller items. Top two drawers are "false drawers" to allow for sink placement. Matching decorative wood backsplash is included.